Hoofddorp, December 18, 2017 Just in time for Christmas, three popular iiyama models – 24’’ ProLite XUB2492HSU, 27’’ ProLite B2791HSU and ProLite XUB2792QSU are now available in a stylish white design. Bringing elegance, as well as functionality and productivity to any modern desktop and office space. All three models feature a stylish edge-to-edge design making them perfect for multi-monitor set-ups. They come equipped with height adjustable stands and pivot functionality ensuring the screen position can be easily adjusted for work place ergonomics. Lastly, iiyama’s flicker free panels and blue light reduction function reduces digital eye strain and fatigue for a more comfortable viewing experience. The 24-inch ProLite XUB2492HSU and 27-inch XUB2792QSU both feature IPS Panel Technology which offers accurate and consistent colour reproduction with wide viewing angles. The high contrast and high brightness provides excellent performance for the professional user and discerning business user who is looking for a richer experience and increased productivity. 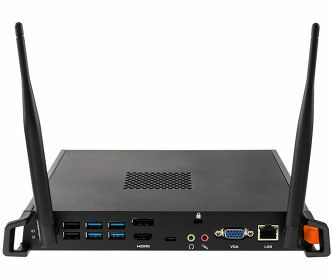 Users who are in search of more work space should choose the 27-inch XUB2792QSU which features a WQHD resolution. 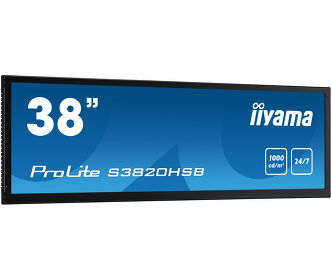 The 27’’ ProLite B2791HSU is a TN panel monitor with a Full HD resolution at a 75Hz refresh rate. It features a 1ms response time and FreeSync Technology; making it a great monitor for office use and gaming alike. ProLite XUB2492HSU-W1 ProLite B2791HSU-W1 ProLite XUB2792QSU-W1. Based in Japan, iiyama is a leading international display solutions manufacturer enabling individuals and organizations to interact with the world around them since 1973. Our desktop monitors support people at work and at home. Our Large Format Displays and touchscreen solutions help businesses to reach out to their audiences and get their message across. The iiyama G-Master #monitors4gamers gives gamers the power to unlock their full gaming potential.